Dorren Green has always been a special girl. She's a mutant who can talk to squirrels. And she also has the proportional speed and strength of a squirrel. And a fluffy tail! Can't forget the fluffy tail! She's saved Iron Man from Doctor Doom. She saved the whole universe from Thanos. And she's the only person in all of reality who scares Deadpool. But a girl has to grow up sometime and Doreen Green has decided to go off to college and develop a secret identity. Because that's what college-bound teens with superpowers are supposed to do, right? Besides, it's not like beating up random muggers in Central Park pays well and she should probably have something to fall back on in case the whole "saving all reality" thing doesn't pan out. 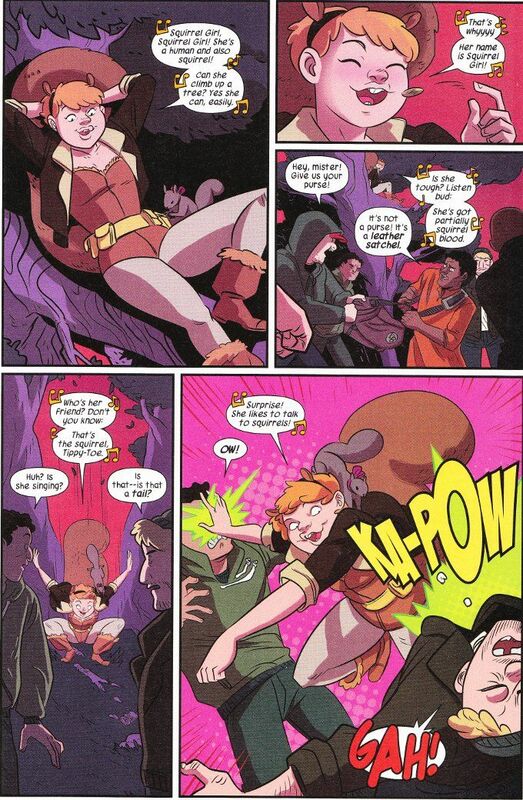 The Unstoppable Squirrel Girl #1 is the kind of comic we rarely see these days. Simply put, it's fun. Ryan North takes a premise that could be goofy for the sake of being goofy like, oh say 90% of everything involving Deadpool in recent years, and plays it perfectly straight. There's no mockery of Doreen and her power set. All of the comedy comes from Doreen trying to live an ordinary life, not being very good at it, and it not mattering at all because everyone would rather ignore the weird girl than puzzle out why she's acting so strangely. The artwork by Erica Henderson and Maris Wicks with colors by Rico Renzi perfectly complements North's script. Henderson has a big, cartoonish style that will likely appeal to Shojo manga enthusiasts. Wicks has a brief but hilarious turn drawing the artwork for a series of super-villain identification flash cards. 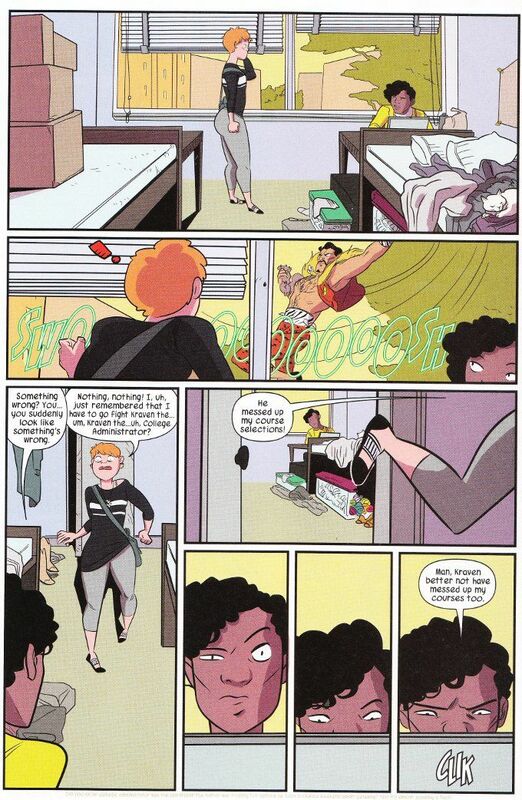 The colors are well chosen, with the palette appropriate subdued in depicting Doreen's new dorm room then suddenly shifting into bright, vibrant colors as the action begins.